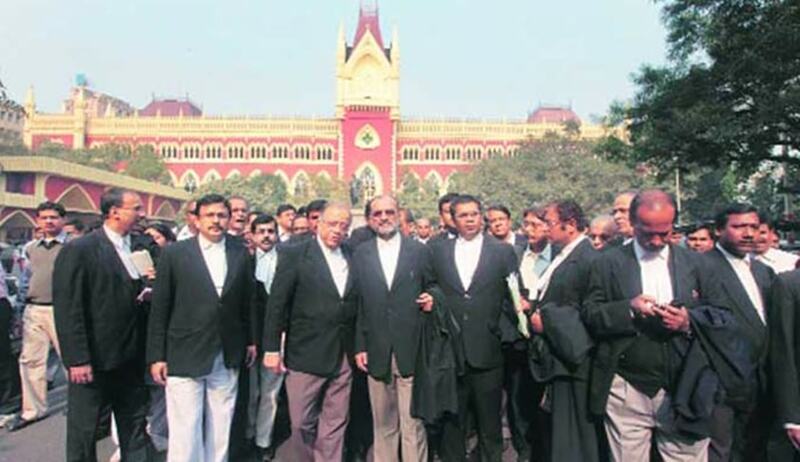 Taking note of cease-work by lawyers of the Calcutta High Court, the Supreme Court has ‘summoned’ the president and secretary of the Bar Association of Calcutta High Court, who gave the call for strike. A bench of Justice AK Goel and Justice Indu Malhotra asked Uttam Majumdar and Amal Kumar Mukhopadhyay, president and secretary of the Bar Association, to remain present in person on 9th July, 2018, to explain why appropriate action should not be taken for their having acted in violation of law laid down by this court. The court was considering a special leave petition wherein the petitioner stated that it is approaching this Hon’ble Court in peculiar circumstances as the Hon’ble Calcutta High Court is facing an unprecedented cease work by lawyers from 19th February 2018. The Attorney General, when asked by the court on the issue of cease-work, suggested that notice ought to be issued to those who sponsored strike to consider further action. The court, however, disposed of the SLP, directing the petitioner to move the high court, though with regard to the notice issued to the president and secretary of the Bar Association, High Court, Calcutta, the matter will be treated to be pending.